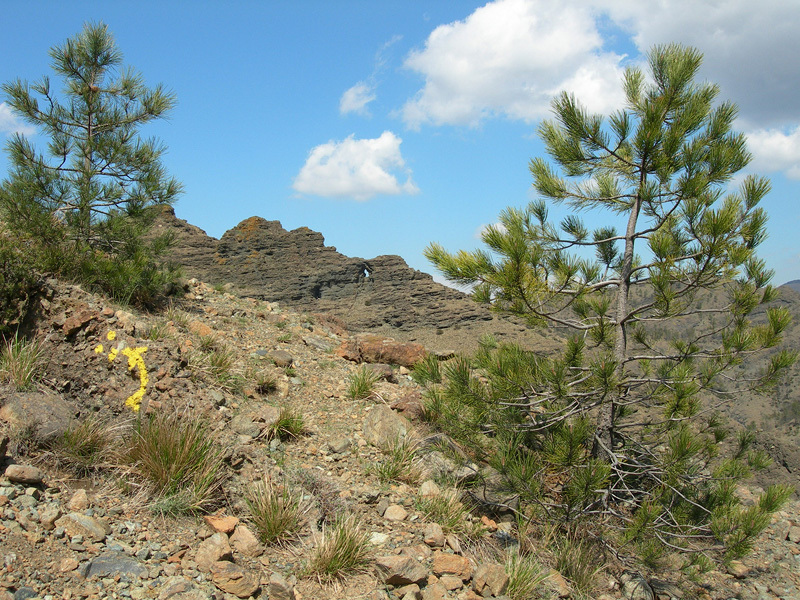 In this site you can see a clear example of how a coarse conglomerate is transformed to a sandstone level, in addition to the nature and form of the pebbles composing it. This outcrop highlights a particular phase of the geological evolution of the district of Beigua, when, between the end of the Late Eocene era and the Early Oligocene epoch (35-30 million years ago), marine conglomerates began to deposit from the north-east towards the south-west, testifying a gradual advancement of the seas. This led to the so-called “Tertiary Piedmont Basin” (TPB) being formed. The sea gradually invaded the emerged land, an uneven landscape characterized by valleys, hills, and mountains in the southernmost zone. Looking up close at the rock, you can distinguish the elements contained within. They are pebbles of varying granulometry (different sizes), linked to one another by fine sand. These pebbles are also very round due to the significant distances they were transported by the river. They were dropped, together with finer, sandy deposits. The colour of the pebbles indicates the different types of rock that were present in the basin where the rivers flowed. Most of them are dark green and black; you need to break one open to identify the serpentine (green) and magnetite (black) minerals, typical of the serpentinites and peridotites more or less serpentinized.